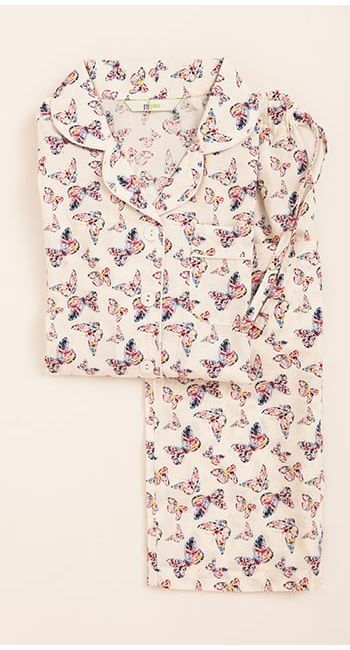 These pretty butterfly print pyjamas are available in all three of our leg lengths. Finished with pale pink piping. Trousers are also sold separately for those not wanting a full set. Matching pyjama shorts available as well as matching girls pyjamas. Fabric type: Printed Egyptian cotton poplin. A stunning pink and blue butterfly print on a cool crisp cotton.